Six dedicated units are created as Number 10 restructures operations. One of Field's primary tasks is to conduct regular lobby briefings with journalists. He is required to maintain political impartiality and play a separate role to special advisers such as Craig Oliver. Cabinet Office stalwart Grey has taken a broader role to lead on planning and campaign co-ordination, particularly on high priority cross-government issues. Handle day-to-day responsive and proactive media relations. There are expected to be 14 press officers in the two press offices, both of which report to head of news Vickie Sheriff. 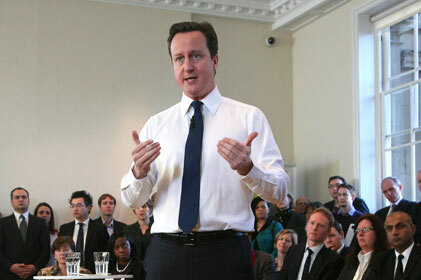 Counter-terrorism and Afghanistan comms were in different units in No 10 and the Cabinet Office. New joint unit will be headed by ex-Afghan chief Emily Hands. The new unit is to co-ordinate comms around key areas of public sector reform. It is to be overseen by Michael Warren, who joins from being deputy director for government comms. Responsible for Downing Street and Cabinet Office digital campaigns, this unit was created shortly after the 2010 general election. Former Conservative Party head of digital comms Rishi Saha heads the unit. The new set-up's final appointment will oversee the Government's narrative around the controversial efficiency and reform team. The head role is about to be advertised in Whitehall. Handles press for the PM, as well as comms around the thorny issue of political and constitutional reform. It is headed by James Sorene, until recently the Department of Health's head of news.